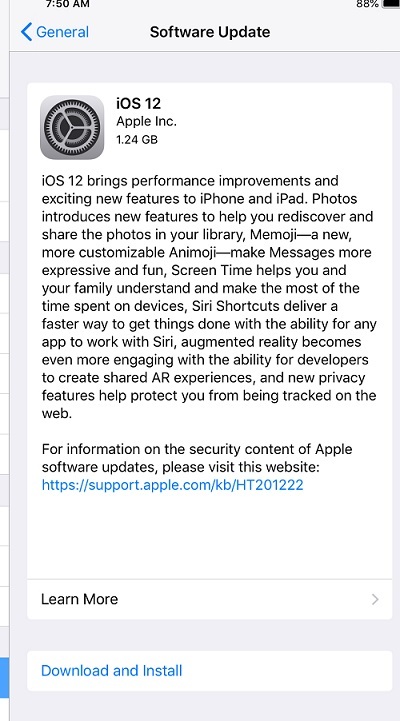 Apple has released iOS 12, its latest operating system for iPhone, iPad and iPod Touch users as it had earlier promised. iOS 12 is compatible with iPhone 5s and later, all iPad Air and iPad Pro models, iPad 5th generation, iPad 6th generation, iPad mini 2 and later and iPod touch 6th generation. In addition to that, Apple also released watchOS 5.0 for Apple Watch users. The watchOS 5 comes with an array of features like Walkie Talkie feature that lets you talk directly to family members using an Apple Watch. You can fire off a voice clip directly to another watch user with a tap of the wrist. And finally, It has also released tvOS 12 for Apple TV that brings new Aerial Screensavers, Zero Sign-On, Dolby Atmos Support and more. One of the reason I like and use ios, I love that I don’t have to buy a new phone that will be costly just to have the latest upgrade. This is a nice one from apple. I applied to be one of the beta phase testers. Went through all the phases and already upgraded to 12 laast week..
Oya Apple users go download it now.